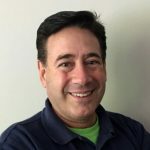 I’m John Ioli, Sales Manager located in the corporate office in Milford, CT. I’ve been associated with the company since 2011 and was one of the first reps out in the field. My current role now is to recruit, hire and mentor sales agents and help them achieve great success here, and build a lifetime vested residual income that they get to keep for life. Your manager will contact you for enrollment and training. Hidden field to hold CC address for sending notification to specific manager.